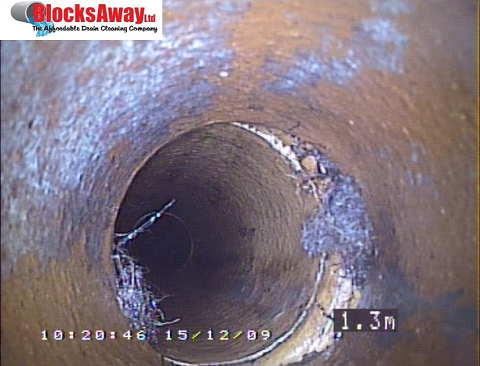 The CCTV drain camera system is a hugely important weapon in the armoury of Blocksaway Drains and can be of huge benefit to our clients. In the past the only way to check the condition of a drain or the reason for it continually blocking was to dig it up at great expense. Now Blocksaway Drains can propel a self-levelling camera with very effective led lighting up to 80 yards up a drain (4” diameter and above) and record defects on a DVD together with their location so that our clients can better plan how to overcome any problems or be assured they have a fully functioning drainage system. All this can be included within Blocksaway’s £89 hourly charge. 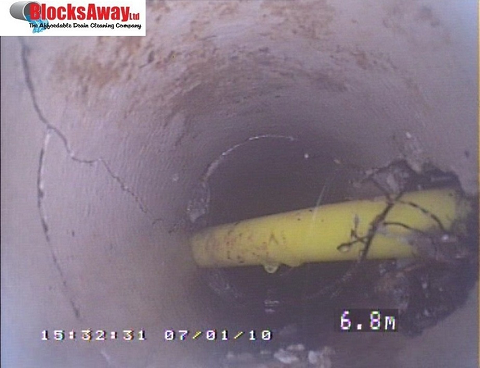 A pre-purchase CCTV drainage survey is also an indispensable part of any house survey.A full report complete with pictures of any defects and a DVD recording costs as little as £110 and can save the purchaser thousands of pounds in unforeseen costs. We cover Cambridge, Huntingdon, Peterborough, throughout Cambridgeshire and beyond. Gas pipe installed through drain causing problems!